We will be having our Easter Sunday Breakfast from 8:45 am - 9:45 am. Donations of egg casseroles, orange juice, baked items and monetary donations are welcome. There will be no Confirmation Class or Sunday School. Our worship service with Communion starts at 10 am. 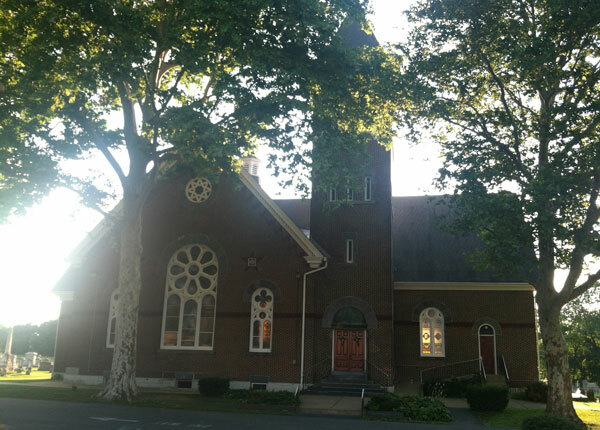 Zion Lehigh Lutheran Church is seeking donations for repairs to our historic church. Click here to view our GoFundMe page. Zion Lehigh is a family. Some families have been members for generations and some have only recently joined our congregation, but we are all one church family. There is a place for everyone at Zion and we welcome visitors and guests at all our services and events. Our church is open to the community with a variety of events throughout the year. These include a Holiday Craft Fair, Community Egg Hunt, Vacation Bible School, OctoberFest Celebration, Mother's Day Appreciation Dinner, Community Car Show…there is truly something for everyone at Zion Lehigh. In addition to the broad range of events, we provide a strong foundation in Christian education spanning all ages. Weekly Sunday School Classess for the Elementary level students, and Community Bible Classes for adults of all ages. Come visit us to see what Zion Lehigh has to offer you and your family.